The Port of Montreal is the busiest seaport on the St. Lawrence Seaway that links the Great Lakes with the Atlantic Ocean, and provides access to some 100 million Canadian and American consumers. The Port Administration is an independent federal agency that was founded in 1999, to facilitate domestic and international trade and contribute in achieving local, regional and national socioeconomic objectives. 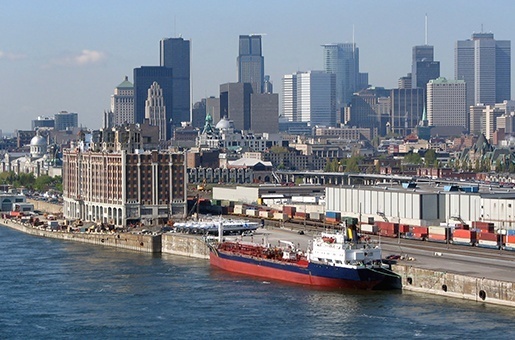 The Port of Montreal is the pillar of a great international center for transhipment of goods where export and import services exceed 40% of Quebec’s international maritime trade. To remain competitive, the Port of Montreal intends on continuing to optimally exploit its facilities by ensuring the sustainability of its infrastructure. In accordance to this objective, the Port Authority developed a management system for the inspection and maintenance of its wharves. This management system, called “SGIQ”, was implemented to gather all information necessary to adequately assess the condition of its infrastructure; effectively plan corrective and preventive interventions required for the safety of its users and proper functioning of its port facilities; and finally, extend the service life of its infrastructure as well as protect invested capital. 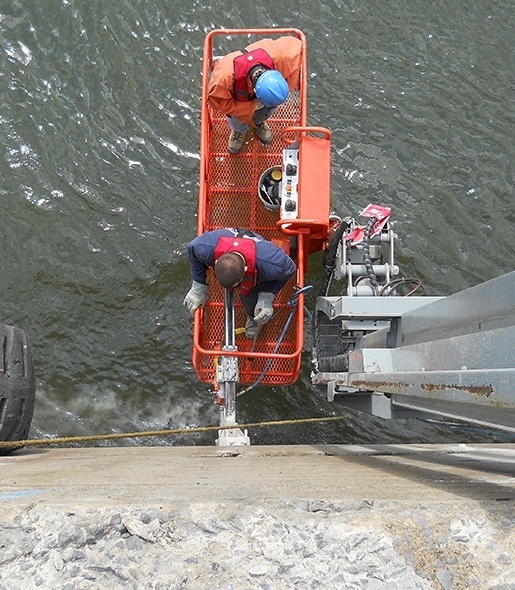 SIMCO’s scope of work was to provide a comprehensive investigation of the deterioration affecting the Port of Montreal’s docks and concrete structural elements. More specifically, SIMCO was to fully characterize the mechanical and transport properties of reinforced concrete, measure the depth of contamination by chlorides (originating from de-icing operations), identify other contaminants and assess the nature and extent of the damage affecting the material. A detailed material characterization performed on Pier 36, was the basis for the development of an analytical approach and recommendations for the integration of material components into Port of Montreal’s inspection and management system, in order to effectively assess the condition of its infrastructure. The analysis of the cores extracted, indicated that reinforced concrete was suffering from a combination of degradation mechanisms (ASR, freeze-thaw and corrosion), that would compromise the stability and integrity of Port of Montreal’s structures in the mid-to-long term. Moreover, the numerical simulations performed using SIMCO’s STADIUM® software demonstrated that material durability falls short thus significantly reducing the potential service life of the pier. SIMCO’s proposed changes led to more accurate diagnoses that will allow Port of Montreal to better identify future concrete degradation issues. Ultimately, the Port Authority will have a more reliable understanding of its infrastructure to ensure more effective planning of interventions necessary in order to maximize investments. 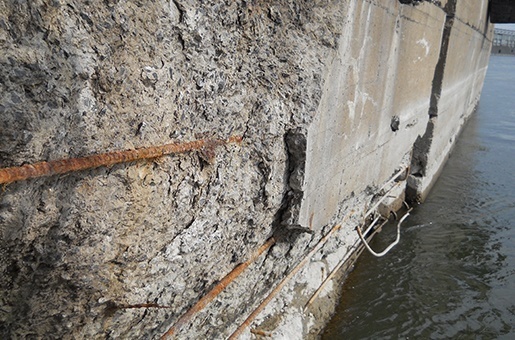 SIMCO characterized the mechanical and transport properties of the reinforced concrete, measured the depth of contamination by chlorides and assessed the extent of damage affecting the quay walls.